Don't leave money on the table! We are Certified AdWords Professionals. AdWords is a very complex system. It is easy to let spending get out of control due to mismanagement or simply not understanding the subtle nuances of the platform. We can optimize an existing campaign or create a new one to compliment organic SEO efforts. 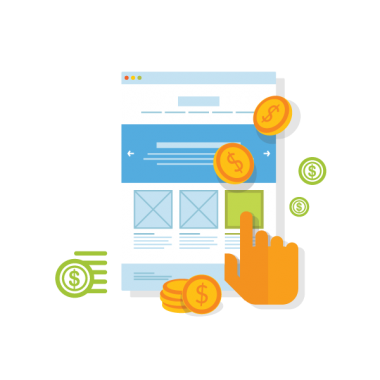 Allow us to manage your AdWords, see costs go down and conversions go up. AdWords is always best as a part of an ongoing SEO campaign that includes organic search optimization. Combined, the two can provide full coverage SEO to make sure your demographic can reach you. Have an existing AdWords account that is in disarray or is no longer being used? We can fine-tune your account to only show ads to the most desired demographic, saving you money on bad clicks. AdWords campaign management is really about not leaving money on the table. Don;t buy clicks from people who aren't going to buy something from you. Simple as that. The trick is understanding the complexities of the system so you can make this happen.